The intertubes are abuzz over the latest & coolest toy released from Google Labs: the Google Books Ngram Viewer. What is it? And why am I writing two posts about Google technology in a single week??? Brenna Ehrlich wrote about it for Mashable.com. Nathan Bransford blogged about it. Patricia Cohen wrote about it for the NY Times. It was a topic of e-mail and conversation and conference calls at my office this week. Geoffrey Nunberg, of UC Berkeley's School of Information, and staff reporter Mark Parry wrote about it in the Chronicle of Higher Education. The most far-reaching claims about n-gram analysis of the Google Books corpora may be last week's article in Science Magazine, Quantitative Analysis of Culture Using Millions of Digitized Books. Nunberg's article considers those claims critically. Okay, so I tried it out for myself. What, I wondered, can the Google Books Ngram Viewer tell me about my novel manuscript, Consequence, which (FWIW) is being considered for representation even as I type by literary agents across the continent? 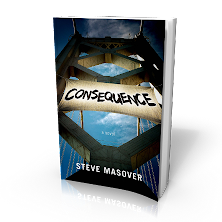 Consequence is about activists who are up in arms over looming environmental catastrophe. 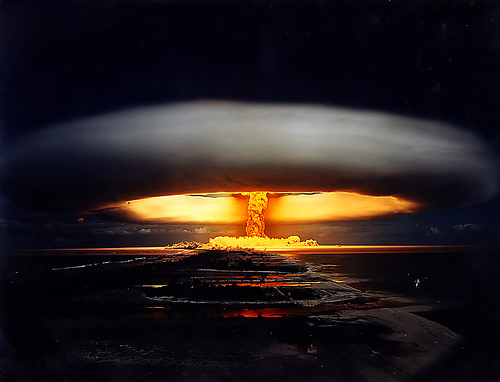 Here's an elevator speech: San Francisco political activists get in over their heads when peaceful protest collides with gun runners, road rage, and conspiracy to pilot six kilotons of truck bomb into the heart of a midwestern research facility. What I see in the graph shown in this post (click the image for a larger view) is that appearance in books of the words catastrophe, terrorism, and consequence have held pretty steady over a period of 78 years. Books that treated the environment spiked in the late 90s and have been falling through the oughts ("environmental" and "ecology" produce graphs in roughly the same shape over this period; "genetic engineering" which is the sort of environmental catastrophe that the novel's activists focus on, graphs with a flatter tail but rises and falls in parallel with "environment"). And that all means ... what? That people are always up for a story about terrorism and its consequences? That environmental concerns are passe? That environmental concerns are poised for resurgence? That there used to be a glut of books about the environment but now there's space for new books on the topic to emerge? That catastrophe never goes out of fashion? When I study the graphs (not very hard, I confess) I come to a simple conclusion. Google's ngram viewer has predicted that some people will want to read Consequence if and when it is published, and others won't bother. Did I need an app for that? What I predict is that ngram viewing at the level of crude inquiry enabled by the new Google tool -- nifty and fun as it is to play with -- will prove to be just another technological fetish, probably sooner than later. Geoffrey Nunberg, in his CHE article on Google's Ngram Viewer, links to a May 2010 article in that same journal about Google Books and what it means or doesn't to novels, reading, and humanist scholarship: The Humanities Go Google, by Mark Parry. In it, Professor Katie Trumpener of Yale University (Comp Lit & Film Studies) is quoted describing the kind of analysis made easy by the new ngram viewer as "one that could yield a slew of insignificant numbers with 'jumped-up claims about what they mean.'" So I think I'll stop here. What do you think of the ngram viewer? What have you learned from it in the service's first week of operation? I'm going to take a week's posting break. Enjoy the holidays, and I'll see you back here at One Finger Typing in January! This isn't my breaking news: Barry Schwartz of searchengineland.com noticed it ten days ago and the news was slashdotted Thursday, and a friend did me the favor of setting up a link to how One Finger Typing blog posts rate on Google's reading-level scale. Nundu, a Google employee with a very thin profile, announced the new feature on 9 December in the Google Web Search Help Forum. 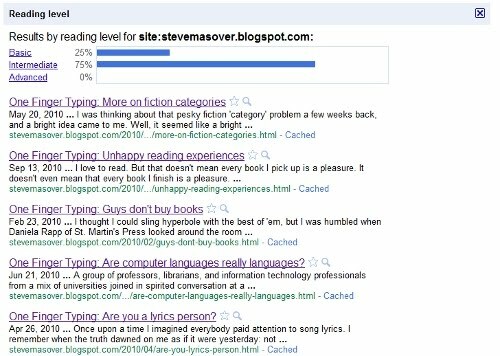 As you can see from the screenshot, 25% of this blog's post appear to score as "Basic" and 75% as "Intermediate" reading level. Alas, the statistical display is actually misleading. Only some of this blog's posts are classified. Four, to be exact, as of mid-December 2010. The first thing I wonder when I see this sort of claim, involving automated classification, is what methodology was used. 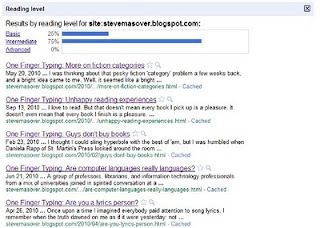 That is, how does Google Search measure reading level measured? Nundu, in that help forum post, says: "Re: how we classify pages -- The feature is based primarily on statistical models we built with the help of teachers. We paid teachers to classify pages for different reading levels, and then took their classifications to build a statistical model. With this model, we can compare the words on any webpage with the words in the model to classify reading levels. 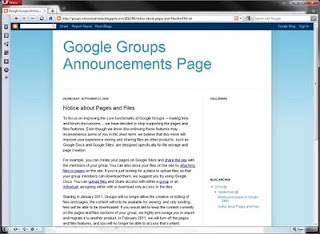 We also use data from Google Scholar, since most of the articles in Scholar are advanced." Okay, that's pretty cool. Teachers rate texts, professors write texts, then Google's Natural Language Processing magic matches search result content to content of known or rated texts. Those that are similar to "basic" texts are themselves rated "basic," and so forth. There are a fair few known and reliable ways to measure 'similarity' between texts, and while Google doesn't like to tell which it uses I'm fairly confident that they know what they're doing -- what with all the content at their disposal, and their strong financial interest in getting 'similarity' right in order to successfully present search results. Reading level analysis has been a part of Google Docs for a while. If you've got a document in Google Docs, and use the Word Count tool, numeric ratings are given on three different scales of "readability": Flesch Reading Ease & Flesch-Kincaid Grade Level and the Automated Readability Index. For example, one of the search-classified posts on One Finger Typing -- Nominative determinism in fiction -- is given a Flesch Reading Ease score of 61.13 by Google Docs, indicating it's "easily understandable by 13- to 15-year-old students." 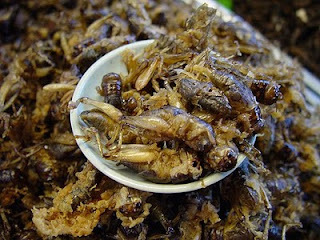 That's about on a par with Reader's Digest, but easier to digest than a Time magazine article, or so says Wikipedia. Google Search classifies this score as "Basic." I'm curious to know the full distribution of classifications across my blog posts to-date, but I guess Google's servers have to chew over the intertubes a bit more before that's made easy as a few keystrokes. I'm not so eager to stare at my own blog's navel that I'm going to iterate through every one of my posts with the Word Count feature in Google Docs. In the meantime, it's good to know that I'm not pitching prose exclusively to university professors. One hopes to be more broadly accessible than that, no offense intended to any university professor who ever has or might ever read & comment on One Finger Typing. Once and future California governor Jerry Brown is trying to get a jump start on the Sisyphean task of fixing the state's broken budget. Is California's budget the most broken among U.S. states? The Wall Street Journal reported last week that "States are reporting billions in midyear budget shortfalls, and the crunch is likely to continue for at least several more years, a new report says. [...] Illinois had the largest midyear shortfall relative to the size of its budget among the 15 states with deficits: $13 billion, or 47% of its general-fund budget." Let's look at how California is grappling with its fiscal nightmare. On Wednesday of last week, the SF Chronicle reported, "Gov.-elect Jerry Brown convened an unusual summit Wednesday, bringing together lawmakers and state financial officials for an in-depth look at the state's myriad fiscal problems, and he signaled that the days of relying on gimmicks to bridge the budget deficit are over." Just the day before yesterday, the Chron's columnist Kathleen Pender wrote about one of a depressing number of those budgetary gimmicks that was baked into the 'resolution' of the 2010-11 budget this past fall. As Pender wrote in Loss of estate tax leaves hole in state budget: "The proposed tax deal in Congress would fail to deliver about $2.7 billion in estate tax revenues California was counting on receiving this fiscal year and next, but some say the state should never have expected those revenues in the first place. 'It sounds like your budget estimators were counting chickens that not only hadn't hatched, the eggs hadn't even been laid yet,' says Howard Zaritsky, an attorney and estate planning consultant in Rapidan, Va."
It's not like this was a surprise. As Reuters reported the day the budget was passed, "California lawmakers on Friday approved a state budget filled with spending cuts and creative accounting to fill a $19.1 billion deficit, 100 days after a spending plan should have been in place. Governor Arnold Schwarzenegger said he hoped to sign the budget package as soon as Friday evening, but critics fear his successor, to be elected on November 2, will immediately face a new shortfall as rosy revenue assumptions prove unfounded." Creative accounting. California's government has been pretty good at that over the past decade. 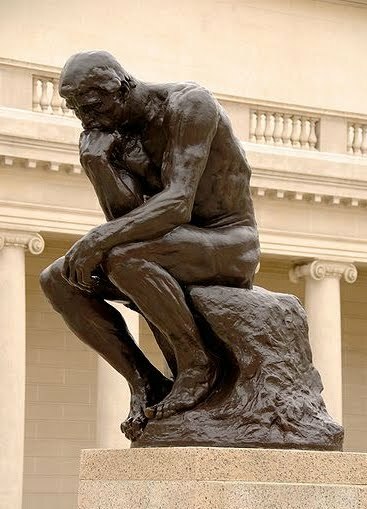 But maybe a new kind of creativity is called for to climb out of the deep deep budgetary hole that we citizens permitted our governator and legislature to dig. As Brown summited last week, I was hanging out with an old friend on his last day of a visit back to the Bay Area. Stuart lived in Berkeley and Oakland in the 1980s and 1990s, between Brown administrations. He reeled off a range of options the new governor might consider, and has kindly permitted me to spin them in this post. These ideas are not gimmicks. They've been tried and proven in many a Third World country, and the last has even been piloted here in the U.S. The IMF is great at restructuring economies, and because California's is the 8th largest in the world maybe it'd be a fun challenge for the intrepid imposers of austerity measures. Heck, with a hole $28 billion deep, austerity measures are exactly where the state's going anyway. George Harrison and Ravi Shankar did it for Bangladesh. Bono organized Live 8, and was part of Band Aid and played at Live Aid. What would Bono call a charity concert to save California? "Kool Aid"? "Anti-tax crusAid Aid"? Maybe Linda Ronstat would play if her former boyfriend asked really really nicely. Why not? California has been home to nearly 15% of the 1,073,124 HIV/AIDS diagnoses in the United States (cumulative through 2008). Yes, it's true that there are currently about 33 million people living with HIV (not cumulative, current) ... a staggering number ... but still, it couldn't hurt to ask UNAIDS, right? Venezuela's 'revolutionary' leader has given a break to Honduras, the Dominican Republic, Cuba, Costa Rica ... he even sold oil cheap to "poor populations and low-income populations" here in the U.S., quoting from his announcement of the plan, on Democracy Now (20 Sept 2005). The Washington Post described one part of that program as an effort to "bring 7.5 million gallons of deeply discounted heating oil to as many as 37,000 low-income households in Maryland, Virginia and the District and free heating oil to some homeless shelters." Sounds like just the ticket. 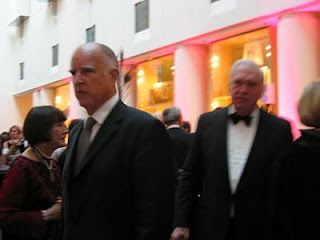 Go on, Gov.-elect Brown. Ask Mr. Chavez. Please, please, pretty-please? "Mac Taylor, the state legislative analyst who joined Brown at the forum, said any real fixes would be difficult. 'No matter how you resolve the budget problem ... it's not going to have a good effect on the economy,' Taylor said." 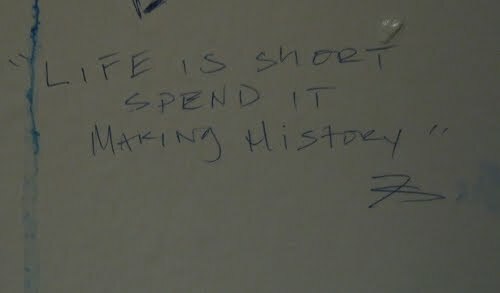 A new graffito recently appeared on the unisex bathroom wall at one of my favorite cafés in Berkeley, Café Milano, just across the street from Sproul Plaza: "Life is short. Spend it making history." I keep half an eye on graffiti on the campus and in cafés ... it's a way to track a certain segment of the zeitgeist. I find it amusing, aggravating, fascinating, or just plain dumb. Depending. My friend and University of Chicago colleague, Quinn Dombrowski, has a much more regular and rigorous habit. She has photographed nearly 1500 pieces of graffiti from U Chicago alone; and has also conducted foraging expeditions to Brown University (930 photos), the University of Colorado (262), Arizona State University (507), and UC Berkeley (142). Legacy readers of One Finger Typing will recall that Quinn's book, Crescat Graffiti, Vita Excolatur: Confessions of the University of Chicago, was an element of my early post Forays into self-publishing. Crescat Graffiti... is available on Amazon; and, as I mentioned some months back, generated a nice portfolio of media attention, from a Chicago Tonight TV appearance to the Wall Street Journal, to Der Spiegel. I will say that there's something about "interestingness" as Quinn measures it that doesn't capture dimensions of what I think makes some graffiti zingy and sweet. I didn't ask how she'd score "Life is short. Spend it making history." But I don't think it would earn as many points under her scoring system as graffiti that referenced or quoted "high culture" (you know, the kind of stuff university students are supposed to espouse), or even pop culture. The thing about the graffito in Café Milano is that it's not so much derivative as prescriptive, in a joyful, engaged, activist sort of way. Seeing it warmed this grizzled rabble-rouser's heart. When I searched for "Life is short. Spend it making history." I didn't find an original source. Anybody out there recognize it as a quote? By whom, and in what book or song or film or revolutionary screed? Check out Quinn's collection, and the analysis on her blog. I'd be interested to hear what kind of graffiti makes your heart skip a beat. Tell me in the comments? A summary for a study titled Global Warming Warnings Can Backfire begins: "From Priuses to solar panels and plastic-bag bans (and even green dating! ), it seems that everyone’s going green. The message that our world is in danger if we do not take action is also everywhere: from images of baby polar bears drowning to frightening images of a parched barren future. The push to go green is based in good intentions, but an upcoming study in Psychological Science shows that the popular 'do or die' global-warming messages can backfire if the situation is presented too negatively." The study is slated for publication in January's Psychological Science; the authors are Matthew Feinberg & Robb Willer. Earlier this week I wrote about finding Nevil Shute's On The Beach (1957) problematic for presenting the danger of nuclear war in clean, controlled, and airbrushed colors. As I wrote in my blog post of Monday, when I watched the film and reread the book -- each a classic -- over Thanksgiving weekend I found On the Beach a bit ridiculous. I think Cormac McCarthy's The Road (2006) gives a more honest view of what apocalypse-on-Earth might look like, should things come to that. Each book packs a moral wallop. Each warns of a future only a maniac would want to see happen, a future most would go some distance to forestall. But I had a hard time taking On The Beach seriously because its characters go to their deaths with such stiff upper lips, conforming like docile children to social strictures that about to flatline. I had to pinch myself from time to time to remember I wasn't reading a farce. 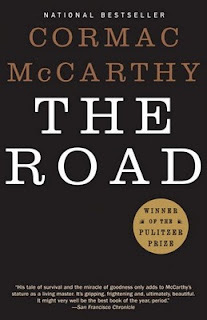 McCarthy's The Road? No such problem. 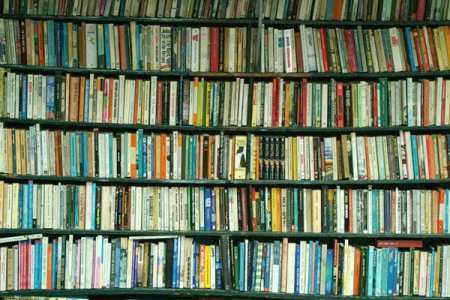 But the Feinberg and Willer study to be published next month suggests that of the approaches taken by these novels, published nearly fifty years apart, the kinder, gentler message is more likely to reach its readers. Again from the Psychological Science summary: "Results showed that those who read the positive messages were more open to believing in the existence of global warming and had more faith in science’s ability to solve the problem, than those exposed to doomsday messages, who became more skeptical about global warming." ... but not in a very delightful way. "Our study indicates that the potentially devastating consequences of global warming threaten people’s fundamental tendency to see the world as safe, stable and fair. As a result, people may respond by discounting evidence for global warming," said Willer [...]. "The scarier the message, the more people who are committed to viewing the world as fundamentally stable and fair are motivated to deny it," agreed Feinberg. But perhaps motivation to deny isn't the only issue the study is surfacing, or even the most important. Feinberg & Willer's study, its summary explains, finds that people are "open to believing" a serious problem exists when they have "more faith in science’s ability to solve the problem." These are two sides of a single coin, though, aren't they? If a doomsday message suggests that a very large problem can't be solved, people don't want to believe the problem exists. That's heads. Tails might be: people are willing to believe a very large problem exists, so long as it's not really very large (because it can and will be resolved -- and, perhaps much more tellingly, somebody else is going to take care of it). Whether the world is, indeed, "safe, stable and fair" -- whatever a person's convictions might be on the question -- is something else again. But let's shift gears for a moment, and consider another angle on global warming. I suspect this film is a variant of the wishful human tendency Feinberg & Willer have found in their subjects. Judging from the trailer and reviews, Cool It! pushes a message that Al Gore and the 2006 documentary An Inconvenient Truth are massive downers, man. This is not only the frame of Cool It!, it is also the frame of Feinberg and Willer's study: "Overall, the study concludes, 'Fear-based appeals, especially when not coupled with a clear solution, can backfire and undermine the intended effects of these messages.'" While some of what I gleaned from glimpses into the movie looked on the mark to me -- if all we can throw at climate change are efficient light bulbs and hybrid cars it's certainly not going to go away -- Lomborg appears to lean toward giving smart scientists big money to solve problems for humankind, rather than engaging people to behave differently than we have to-date under the influence of free market capitalism, and the burdens and bonuses of industrial civilization. The effect of behavior to-date, of course, is that we're heading for climate-induced catastrophe before the end of the current century, according to a supermajority of scientists. There's still a chance to head off the worst of what's predicted, most think, but doing so will require widespread and radical changes in our behavior (which, most scientists agree, lies at the root of today's climate change) and the economies that influence them. The chance that the worst can be engineered into submission by a vanguard of geeks and their electronic slide rules? Not so much, in this skeptic's humble opinion. And if a "clear solution" -- like reflecting sunlight back into space -- is actually a pipe-dream, it doesn't actually add value to an appeal, whether "fear-based" or not. What would be required to motivate radical changes in human behavior and the economies that influence them? I think that question has an easy answer, generally speaking: it would require, first, that humans recognize and acknowledge that current behaviors are leading us headlong into deep doo-doo. From there, compared to from a state of denial, it's a much shorter distance to shouldering the responsibility necessary to fix a problem that's too big to be delegated to faceless bureaucrats and professionals. But, as Feinberg and Willer show in their forthcoming study, Lomborg's message is of a type people are more likely to take in -- precisely because it suggests that there's an easy way out. It certainly would be easier to leave it to engineers to solve their equations, while the rest of us, as George W. Bush urged Americans in September 2001, "Do your business around the country. Fly and enjoy America's great destination spots. Get down to Disney World in Florida. Take your families and enjoy life, the way we want it to be enjoyed." But the easier thing is unlikely to help, any more than going to Disney World made the world safe from murderous lunatics willing to fly airplanes into buildings. Thomas Friedman, responding to diplomatic dirty laundry recently aired by WikiLeaks, listed a series of behavior patterns that have seriously -- and perhaps irrevocably -- weakened the United States in relation to putative allies as well as declared enemies. Friedman wrote this past Saturday in a New York Times op-ed, "Geopolitics is all about leverage. We cannot make ourselves safer abroad unless we change our behavior at home. But our politics never connects the two." And, indeed, that failure to connect is precisely what Feinberg and Willer -- and Nevil Shute -- have shown that people prefer to do. If climate change is real (which the vast majority of scientists believe is so), and if there may still be a way out (which also seems to be a widely shared assessment), what kind of messages will motivate the engagement and commitment necessary to fix it? A message that softens the raw horror of what will come if we fail? 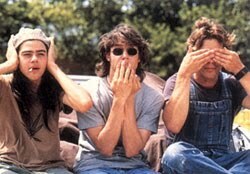 Or one that sticks you right smack in the sights of the worst that can happen? I know what kind of a message strikes me deeply, and I suppose that makes me an outlier in Feinberg and Willer's universe. Y tu? Thanks to Pierre J. for the photo of the nuclear explosion. Last month, riffing off Kazuo Ishiguro's novel Never Let Me Go and the recent film based on that novel, I blogged about Dystopias in fiction. Thinking in that vein, and after a conversation with a friend who recently read Consequence, my own dystopia-inflected novel manuscript, I decided to reread Nevil Shute's On The Beach. I first read Shute's 1957 novel in the mid-1970s or so. Warning: this post contains spoilers for both Nevil Shute's On The Beach and Cormac McCarthy's The Road. Looking through DVDs in the public library just before Thanksgiving I came across the 1959 film version of On The Beach, starring Gregory Peck, Ava Gardener, and Fred Astaire. I watched, and found it both riveting and insufferable: riveting for Shute's core idea -- that life on earth might well be annihilated by radiation, in inexorable slow-motion, following a nuclear war; and insufferable for the entirely unlikely decency, civility, and obliqueness with which the characters and their society meet the end of life and civilization. I didn't remember thinking the book insufferable the first time I read it, but we're talking long-distance memory here. I returned the DVD to the library the day after Thanksgiving, and promptly violated my intention to observe Buy Nothing Day by stopping in at a used bookshop and picking up a copy of Shute's novel. In my mind I was already comparing Shute's story to Cormac McCarthy's The Road, published half a century after On The Beach and covering parallel ground in a very different register. 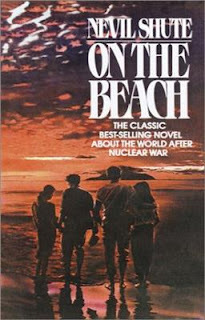 I'd say On The Beach as a novel is somewhat less airbrushed than the film in its approach to the question of life ending on earth with a post-bang whimper. Perhaps the censors had something to do with the film's attenuated portrayal of the characters' darker moments; perhaps it was the nature of movies in the late 1950s. I was interested enough to keep turning pages; I finished the novel before I had to return to work on Monday. And yet ... as Shute portrayed it, the tidiness attending the death of the last great city left in the world struck me as ridiculous. It wasn't just the way people of Melbourne waited peaceably -- drinking more than I might, but, hey, the novel is set in Australia. Take, for example, the primness with which radiation sickness is shown. People are sick "off camera," even in the book; they hide their symptoms from one another out of politesse, and hide behind gentle words -- "tired," "spasm," "ill," "trembling" -- a superficial glance and then quickly looking away. Take, for another example, that emotional responses to impending doom range from disciplined self-control to denial to the occasional, brief, and stilted outburst. I use the word "range" with reservations. Sure, it's credible that a government might give out cyanide pills to spare people the agony of radiation sickness, as Shute imagined; and that intervention might well spare a city some of the chaos one reads in descriptions, say, of plague in 14th century Europe. But it doesn't sufficiently explain Shute's clean city streets in North America -- little out of order, hardly any evidence of looting, no dead bodies -- when the novel's characters pay an exploratory visit by submarine. Nor does it explain the conveniently uniform disinterest the novel's principal characters evince in examining the bodies of the dead -- characters whose role in their society is to understand what has happened in areas affected by radiation in order to plan for what's coming. Best to let that ugly stuff alone, Shute seems to have supposed, so the reader need not be bothered with the gruesome reality of mass death. Vague sops are thrown to the reader to explain Shute's omissions: likening human behavior to a dog's tendency to slink off to die in hiding, or dwelling on limits of a submarine's periscope to view much of coastal cities as a sub lies offshore. These, in my reading, don't answer Shute's portrayal of pristine landscapes and cityscapes in the wake of the death of every living being in an entire landmass. And then there were the novel's women. Moira has retreated into drink and sexual abandon; yet, as she comes out of her hedonistic fog, disappointment at shallow and fruitless relationships doesn't get in the way of faultless restraint in pursuing American submarine captain Dwight Tower, whose fantasy attachment to his annihilated family is a wee bit unbalanced. Mary Holmes' deep refusal to see the writing on the wall is just plain wacky, and her husband Peter indulges her wackiness: She lived in the dream world of unreality, or else she would not admit reality; he did not know. In any case, he loved her as she was. How sweet, dissociated, and in keeping with 1950s bourgeois decorum. All that unbalance and wackiness suggests that there's something fundamentally unsettled in these characters who are holding it all together on the surface (and how could there not be?) ... but Shute's masking of this novel's main event -- the emotional responses of Dwight, Peter, Moira, Mary, and the others to the end of their lives and their world -- struck me as strange to the point of silliness, and thoroughly distracting. In the end, Shute gets it right about human fallibility, though he was more of an optimist in 1957 than I can manage nowadays. Here's Peter again, in the final chapter of the book, mourning the lost opportunity to educate humanity out of the "silliness" that led to a war whose after-effects are destroying life on our planet: "Newspapers," he said. "You could have done something with newspapers. We didn't do it. No nation did, because we were all too silly. We liked our newspapers with pictures of beach girls and headlines about cases of indecent assault, and no government was wise enough to stop us having them that way. But something might have been done with newspapers, if we'd been wise enough." Mary responds: She did not fully comprehend his reasoning. "I'm glad we haven't got newspapers now," she said. "It's been much nicer without them." 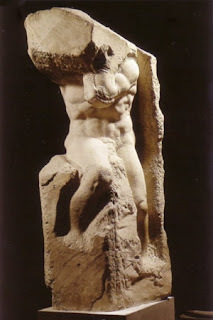 More about human fallibility -- and people's receptivity to hard, unvarnished truths -- in my next blog post. Here I'll conclude with a brief nod to Cormac McCarthy's The Road (2006). In this novel too, some cataclysm -- possibly war, the author doesn't say -- has devastated life on Earth. Not everybody's dead yet, but things are looking pretty grim. There is nothing growing that can be eaten. People scavenge, and there's not much left. A man and his son are making their way to the coast, certain that they won't survive another winter in the interior of the North American continent. Of the few survivors left, most seem to be living in nomadic, cannibalistic tribes, enslaving their human prey and driving them like cattle before eating them. The protagonist dies toward the end of the book. His son, a reader is led to believe, won't last much longer. It's a very different take on apocalypse from Shute's gallant, duty-bound, brandy- and port- and whiskey-swilling Americans and Australians. Drawn out for years, as the death of a planet might actually be, McCarthy's apocalypse lacks the convenience of a concise final act. McCarthy tends more toward a take on humankind that emerged during the blackout riots in New York City in July 1977; or war in the Balkans or in Rwanda in the 1990s, with attendant rapes, hacked limbs, ethnic genocide, and other forms of anarchically depraved inhumanity; or the Armenian Genocide following World War I; or the holocausts of Hitler, Stalin, and Mao; or the killing fields of the Khmer Rouge. To me, McCarthy's depiction of the end of human life and civilization seems more likely to foretell an actual future. Sure, there will be people who behave well in even the most extreme circumstances (as McCarthy's protagonist and his son do, more or less). Pretty much everyone I know hopes that in dire straits s/he would turn out to be one of these, one of "the good guys," one of those who, in McCarthy's words, "carry the fire." But when the seas rise and the plagues spread and the radiation burns -- when food and water and shelter run out -- life won't just go on 'normally' until the last of us gently subsides. To imagine it might seems willfully blind, misguided, utopian. Cf. the history of the twentieth century, excerpted above. And let's not forget that understanding of the fragility of humane behavior is baked into nearly every theology on earth: everybody's got some concept or other of hell. Nevil Shute's On The Beach deracinated nastiness from the human culture he portrayed, except in a remote and abstract set of off-stage actors -- those "silly" people who started the war to end the world. 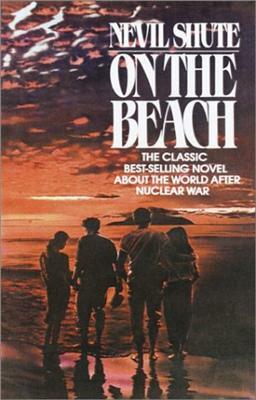 Yet in its time, On The Beach had a devastating effect on readers, as its author clearly intended: "The most haunting evocation we have of a world dying of radiation after an atomic war," said the New York Times (according to Amazon's collection of editorial reviews). On The Beach introduced the reality, taken for granted today, that humankind now holds the power to destroy most, and perhaps all, complex life-forms on Earth. And the possibility that we might just do it. If Cormac McCarthy had published The Road in 1957 instead of a half-century later, perhaps no one would have read his novel. In that era, The Road might have been judged pornographically raw. In 2007, the author was awarded the Pulitzer Prize. On The Beach is a classic, no doubt. But it is so deeply embedded in its time and culture, in its fetish for order and authority, that I can't read it except as an anachronism. The Road may be a difficult novel to get through for some -- one Facebook friend, after finishing McCarthy's book, posted a status asking why anyone would even write such a depressing story -- but I think it depicts a future that seems credible to open-eyed readers in the 21st century. The challenge came over my Facebook wire the Wednesday before Thanksgiving: "List fifteen authors, including poets and playwrights, who have influenced you and will always stick with you. Do this in no more than fifteen minutes. Tag at least fifteen friends, including me, because I'm interested in seeing what authors my friends choose. [...]"
Following the rules, I cobbled together my list in a very few minutes. 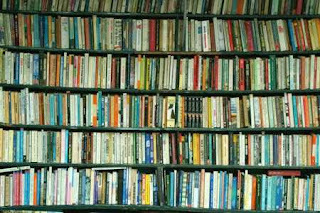 I took a few minutes to browse my bookshelves, which skewed the results toward authors whose work I happen to have handy. The quantity limit guaranteed that I'd leave off a load of authors who have influenced me and will always stick with me, but the time constraint meant there was little room to measure and consider which of those other authors should have bubbled up into the top fifteen slots. And there's the circumstantial factor too: I compiled this list at a certain hour on a certain day. If you ask me next week or next month, I might come up with a very different set. Disclaimers aside, though, the list typed above is the one I came up with on the spur of the moment. Circling back, here are some thoughts about why each author came to mind. Pat Barker - This author's Regeneration trilogy (the other two novels are The Eye in the Door and The Ghost Road) brought the human cost of World War I to vivid, harrowing life for me. Her novel Life Class, also about the first world war, read less powerfully to me but remains an important element in my mental map of a war that ended forty years before I was born yet whose human and geopolitical effects continue to reverberate in this century. Barker is certainly not the only author of vivid work that circles WWI: Sebastian Faulks' Birdsong comes to mind; and the novels of Joseph Roth ... Louis de Bernières, Ernest Hemingway, T.E. Lawrence ... but Barker is the one whose work came most vividly to my mind the day before Thanksgiving. Carlos Castenada - Was the author really a disciple of a shaman named Don Juan? Or any shaman at all? I never really cared. Castenada was among the most evocative of several authors to extend the borders of reality, as I conceive(d) it, out into metaphysics as I grew into adulthood (yes, of course there was more to it than reading...). Also cf. Herman Hesse, below; and Michael Murphy, author of Jacob Atabet, who didn't make this list. J.M. Coetzee - Lucid prose, brutal geographical and human landscapes, impassable moral conundrums, deep sympathies running through all of it. There's a reason Coetzee was awarded the Booker Prize twice, and the Nobel Prize for Literature. Umberto Eco - Eco has proven that being a medievalist can be fun. The Name of the Rose was the best book I've ever read about a library. I usually find obsession with mysterious secret societies (and their close relatives, conspiracy theories) to be numbingly silly, but Foucault's Pendulum kept me awake for nights on end. Herman Hesse - There's something faintly embarrassing about my youthful enthusiasm for Hesse's orientalist fantasias, but there you have it. Like Castenada, and Eco on this list, Hesse was instrumental in opening my eyes to worlds behind the world's surfaces. James Joyce - I blogged about Ulysses during Banned Books Week this year ... ever since I read his work during my years as a student, Joyce has stood, in my mind, for a fundamental shift in literature, in which the conception of heroism in western "high" culture was radically democratized. Ian McEwan - Incandescent sentences. McEwan writes with a scalpel, I'm sure of it. His novels' endings often disappoint, but nothing could keep me from his delicious prose. John Milton - I can't think of John Milton without remembering the late Julian Boyd, one of the most inspiring professors with whom I had the privilege to study at UC Berkeley. Professor Boyd was ill during the term I took his Milton seminar. I learned afterward, when I visited during the next term's office hours to thank him for an unforgettable introduction to Paradise Lost, that he was bedridden the whole quarter, and only dragged himself to campus by force of will when it was time to teach. He remembered our class only as a series of incoherent rants. But out of his riveting lectures, lunatic or not, I came to appreciate how rigorous application of etymological resonance could slither past conscious 'defenses' to work an author's moral instruction on a reader. Haruki Murakami - This author's melancholy nostalgia, the fluid borders he draws between dream and reality, his fascination with Western pop culture, his fearlessness in depicting human depravity without stooping to dissociated voyeurism -- not to mention his love of cats -- has compelled my attention repeatedly, from The Windup Bird Chronicle to Norwegian Wood to Kafka on the Shore. His rendering of atrocities during Japan's occupation of China is indelibly burned into my literary and political memory; and Kafka Tamura's wonderfully intricate search for his origins and himself has entranced me through multiple readings and one of the best reading group discussions ever. W.G. Sebald - Sebald's meditative peregrinations -- across Europe, time, and all the world -- evoke as powerfully as any modern writer's work the individual's helpless transfixion before the tides of history. The grainy black and white photographs interleaved through his prose (is it history, memoir, fiction, journalism?) deepen the mystery and amplify the dreaminess of Sebald's exacting observation. I've blogged about Sebald's work in Time, History, and Human Forgetting and More on place in fiction. Will Shakespeare - I don't need to explain this one, right? Gary Snyder - In sharp observation and incisive analysis, in poetics and in politics, with a keen eye and a wry wit, Snyder teaches that human culture is a rich melodic line amid a symphony of parts and players in the great music of being. His Back on the Fire (essays) was my top pick in an April blog post, Books everyone should read. J.R.R. Tolkien - Exposing me to Professor Boyd's lessons on Milton (see above) before I was old enough to understand them, Tolkein gave the gift of of myth reimagined to the latter half of the twentieth century, casting deeply imprinted stories (Norse mythology, Beowulf, Wagner's Der Ring des Nibelungen) into philologically rich yet accessible and gripping adventures in a fantastic and oddly, enchantingly, wishfully plausible world. Condolences to George Lucas and J.K. Rowling, who failed (in this viewer's and reader's opinion) even to come close. Mark Twain - Is it the bitter humor? The fantabulous hyperbole? The skewering of provincial America? A rich rendering of boyhood longings for independence and adventure? It's everything. To read Twain as a boy is to learn that books can make one giddy, and to relish the ride. William Butler Yeats - Lush verse, elitist arrogance, hopeless romanticism, a view of Ireland through mythically-tinted lenses ... but, really, it's the finely tuned language that echoes, year after year, in the mind's library. And who else might have made the cut on a no-limits list? It's hardly possible to be exhaustive. But authors offered by my Facebook friends gave me a lot of ideas. The professor of English who recruited me into this Fifteen Authors game listed a number of childrens' writers among the grow'd-up sort, several of whom certainly influenced me in ways that will always stick with me: Dr. Seuss, Roald Dahl, Beverly Cleary. Other FB friends listed authors I might have included had they come to mind in the moment ... Annie Dillard, Gabriel Garcia Marquez, Alexander Pope, Tom Robbins, Henrik Ibsen. Then there's the science & speculative fiction read in my teens and twenties: Isaac Asimov, Margaret Atwood, Ray Bradbury, Arthur C. Clark, Philip José Farmer, Robert Heinlein, Ursula LeGuin.